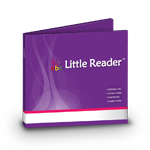 Little Reader's curriculum will guide your child from sight-reading single words, to sounding out groups of words, to reading complete stories. 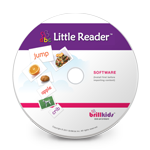 Your child will see 3,000 words* in more than 180 subject categories, supported by over 3,000 pictures, 6,600 sound files, and 460 videos! 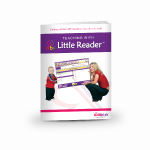 Designed specifically to help you teach your child to read, each book highlights a set of key words from the Little Reader curriculum and presents the story's text on separate pages from the illustrations. This, along with a special flap which you can use to cover the illustrations, will help you focus your child's attention to the words in the story during the process of learning to read. Create hundreds of phonic word combinations for your young child - enunciate each letter and blend's sound and change the letter combination by flipping through the cards. 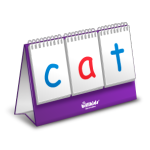 These Pattern Phonics™ work by showing words in patterns that facilitate and accelerate your child's natural ability to decode written language. 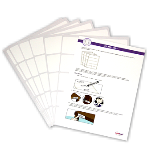 Our unique flap cards are a great way to teach your child to read using the multisensory method! 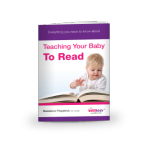 Your child will enjoy learning about each word by opening flaps and seeing the pictures. Just insert the pictures and corresponding words into the plastic flaps and start teaching her words relating to the most important subject in her life - her family! Make a game of labeling objects in your child's world and help her naturally associate the written word with physical objects (and even people!) in her environment!